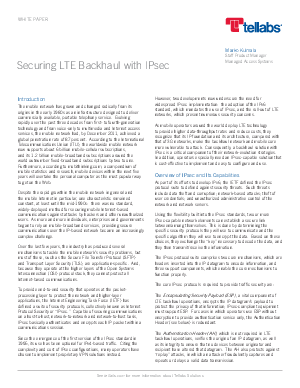 Are you doing all you can to keep your LTE backhaul network secure? Tellabs' white paper explains how IPsec addresses the security issues inherent in LTE networks. It also reviews the end-to-end protection solutions available in the IETF IPsec standard.